How do you bump up writing instruction in your classroom so that it's a good fit with 21st century skills? As we prepare students for their futures, it's important to teach writing within the framework of technology. Research shows that projected workplace needs for our students include using electronic discourse to solve problems, work collaboratively, and communicate effectively. Of course, as always, the benefits come with challenges. Digital literacy (especially for primary students) is something that must be taught. Students need to learn to navigate online in a safe manner. And this is something that must be taught. Sometimes, there's concern about children's safety online. As teacher, you have to be a wise consumer when choosing sites for your students to work with. 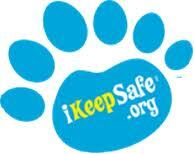 iKeepSafe has an awesome curriculum to help teach digital citizenship. You can find videos, lesson plans, & more. Faux Paw, the Techno Cat stars in videos that teach children about internet safety, gaming, music piracy, and cyberbullying. My students always enjoy the videos and activities and they lead to really good discussions. In addition to online safety, another concern for primary kiddos is keyboarding skills. Or rather the lack of them. Children who lack keyboarding skills get so hung up on the 'hunt and peck' process that they have a hard time focusing on creating the content. According to research, children with weaker keyboarding skills slow down in terms of text production, and this is true whether they're creating at the keyboard or merely transcribing something they've already written. A suggestion to overcome this fatigue is to plan a mini-lesson for about the time that those with weaker keyboarding skills begin to lose their focus...about 10 to 15 minutes into the writing process. This provides a needed break for those students and lets them regain their focus. Another consideration is when do we introduce children to keyboarding. 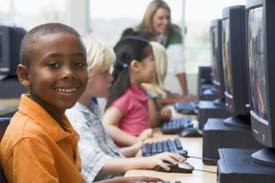 Experts recommend teaching keyboarding in third grade. First graders aren't really designed for accurate keyboarding skills. Their hands are too small for the land of QWERTY. It's actually not until middle school until children have the pinky reach needed. Besides writing on the computer, there are many additional ways students can build 21st Century skills. Publishing online There are actually several sites where children can publish their work. One of my favorites is Amazing Kids E-zine. Children ages 5-18 can submit pieces to be published: fiction, non-fiction, recipes, photos, video-clips, jokes, riddles, poems, and book and product reviews. What an excellent way to teach different genres of writing! And in a real-life context too! Amazing Kids is free and it is a very nicely formatted, professional-looking website. Book Reviews My favorite site for student-submitted book reviews is Planet Book Club. I like that it has a polished look and is user-friendly. There is a very simple form for review submissions. Students can type in the boxes and then click submit. No email or registration needed! Book reviews are an awesome and genuine way to get kiddos thinking and communicating about what they're reading. After all, reading is a very social activity, and what's more social than sharing in an online community? Talk about engaging! How cool will your students think it is to read their own book review on the web?! It really motivates students to do their best writing, too! Blogging It's no surprise that I LOVE blogging! I do have to admit that I'd not thought of having my students blog on a a classroom blog. But then I came across a couple fabulous classroom blogs where the students did just that....and thought what a fantastic idea! So much writing today is created via online formats, and it's only going to continue to become more and more prevalent. Think of the intrigue that blogging would bring to your writing instruction! Stop by and check out these blogs.....See if they fill you with as many ideas as they did me! Mrs. Cassidy's Classroom Blog - This is a first grade classroom. They have several videos they've created and shared & other classrooms from around the world have responded by sending them a video. How cool is that?! On the left sidebar, you'll find links to student entries. This blog really is inspiring me to turn my little firsties into bloggers! Think of the possibilities!! Mrs. Yollis' Classroom Blog - This is a class of third graders. One of their followers (a retired teacher) began commenting on their posts asking questions & giving them ideas. They recently skyped with him all the way from Australia! What an excellent learning opportunity! There are also links to student posts on the left sidebar. I know that I've been inspired to introduce some new activities and skills to my kiddos. Stay tuned to see what we'll be doing! I'll be sharing it here! So how are YOU preparing your students for their futures? When I got my EdS in Instructional Technology in 2006, my first graders participated in an action research for me. It was only a two week period at the beginning of first grade, but they wrote a piece with pencil and paper, then began using computers in our room and the computer lab to publish stories. They averaged a gain of 6 words in less than 2 weeks using the computers over pencil and paper, and almost all chose keyboarding over writing. Our school may not have a computer teacher next year, and I am looking for ways to help my Kindergarteners improve keyboarding and internet research skills. Whenever we are learning about a subject, we go to the smartboard room and research it to find videos or pictures to include in our new learning charts. What a great blog! I really love the video for internet safety! I agree with you that the younger students who have poor keyboarding skills do get caught up in the hunt and peck game. I teach second grade and notice that sometimes this causes for slower production. We have started using a typing program calle Type to Learn which is helping. Keyboarding is a really big issues for composing on a computer. I wish we understood it more.